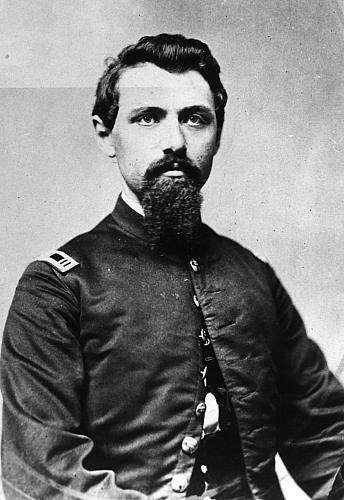 Joseph Herkner sporting a beard and mustache poses for this 1864 portrait in his uniform. Photograph 7 X 5 in. Title by cataloger. Herkner was a member of the 1st Reg., Co. D, Michigan Engineers & Mechanics.